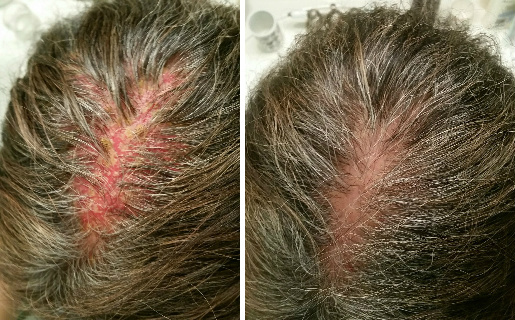 Scalp Seborrheic Dermatitis can be a devastating condition to deal with especially when you need to face the world on a daily basis. The usual signs are areas of pink to red inflamed scalp with either dry or greasy flakes. In some cases, the affected areas may also itch or burn significantly. Many people ask, "What causes Scalp Seborrheic Dermatitis?" Although researchers don't know the exact causes, one popular theory is that it is associated with yeast (malassezia genus) organisms that are common residents of human skin. Since they need lipids to survive, they tend to colonize areas of the skin that are relatively rich with sebum. These fungi, according to some studies, are believed to trigger an immuno-allergic type response in susceptible individuals, while other studies report that the yeast metabolize sebum and generate byproducts that are irritating to the skin. Many times symptoms involving the scalp can be hard to figure out but the bottom line is that you need relief and you need it now! So what can you do to bring much needed help to this condition? 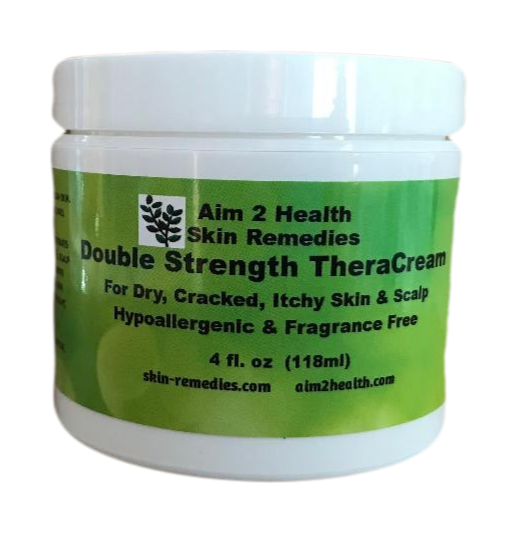 1) At night before bedtime, rub a specially formulated therapeutic double strength cream into the parts of the scalp affected. A double strength formula penetrates the thicker skin of the scalp deeper and faster. Allow to absorb overnight into the 7 layers of scalp tissue. 2) In the morning wash scalp and hair with the proper shampoo that will help to properly moisturize the scalp and restore the pH necessary to bring balance back to your scalp. Repeat as necessary until the problem is gone. Our natural products work fast and hard to help soothe inflammation and restore balance back to the scalp which is what is needed. Below you will find links to the natural products I recommend that, in my professional opinion, work BEST for scalp seborrheic dermatitis symptoms.